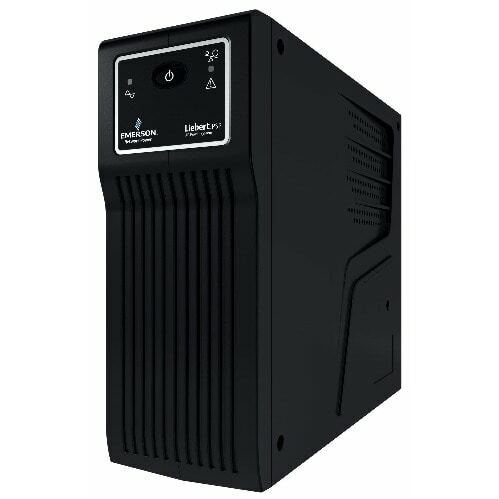 The Liebert PSP is a UPS that delivers cost-effective power protection in a compact package. It provides battery-backed outlets and a surge protection-only outlet. The Liebert PSP battery offers four minutes of backup power at full load - ample time to shut down protected equipment if an outage occurs. Shutdown software and a USB cable are also included, to allow remote alerts and automated graceful shutdown of the connected equipment.